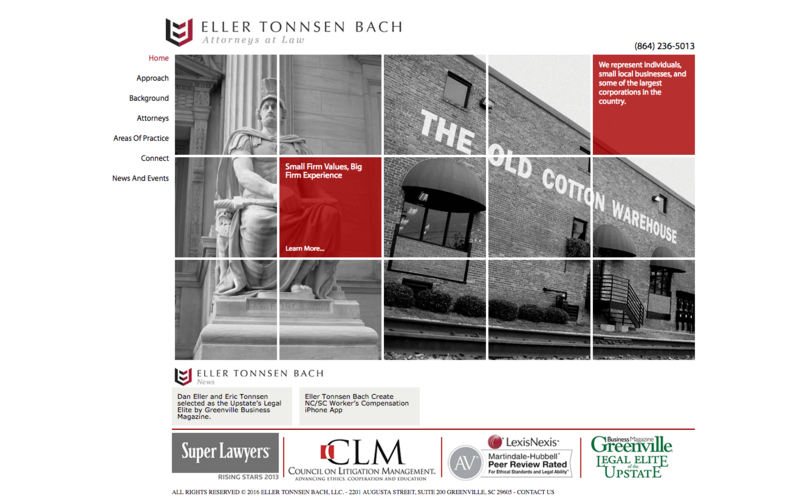 Eller Tonnsen Bach (ETB) approached Engenius in 2015 with a website they felt was dated, lackluster, and did not represent their firm’s values. Their firm was growing, but the website hadn’t been growing alongside them. The site did not adequately describe ETB’s service areas or dedication to results, nor did it validate ETB’s reputation as a reliable, effective law firm. The site’s photography and content lacked impact, and users were not presented with a clear path through the website. More accurately represent ETB’s interests, professionalism, and expertise to current clients, potential clients, and referral partners. The first step to a professional-looking website was to make it more visually appealing. We incorporated custom photography—rather than opting for stock images—of the firm’s two cities: Greenville and Charlotte. 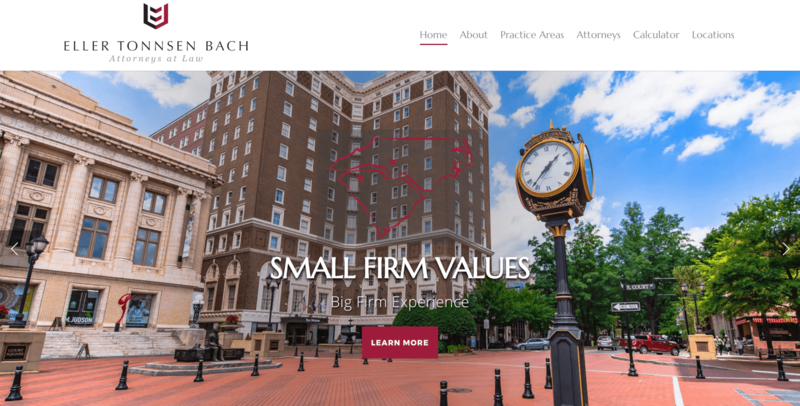 In addition, we moved away from the grayscale images and grids on the old site and turned to the firm’s brand colors for design inspiration. We were able to give the site a more sleek and modern look. We combined this more visual homepage with compelling copy that embodies the firm’s personality. “Small firm values, big firm experience” alludes to ETB’s tireless dedication to their clients as well as their years of expertise. On internal pages, we further demonstrate the firm’s prestige by listing awards and providing client testimonials that validate ETB’s professionalism, caring spirit, and past success.